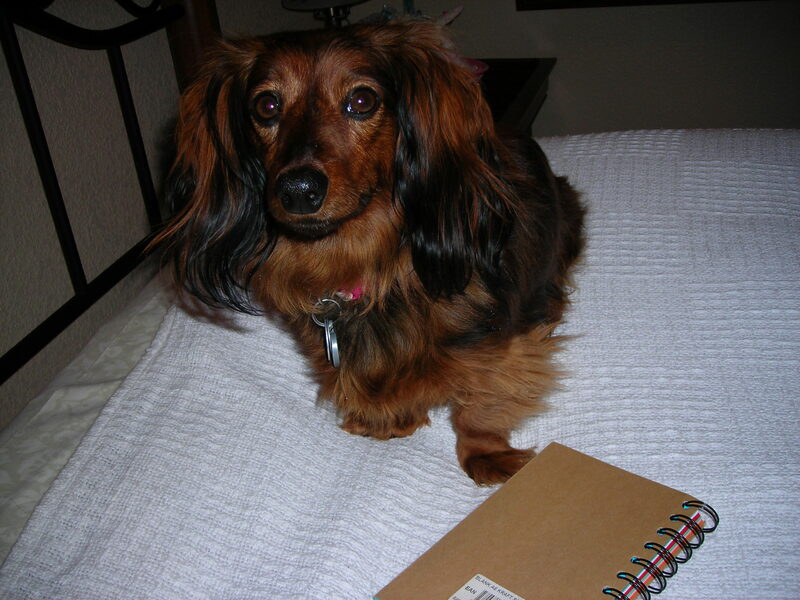 I don’t exactly date, because I’m a spayed (but very cute) female miniature long-haired dachshund. But I do like playtime, play dates (as long as I’m the boss) and, on a limited basis, being around other dogs. Sometimes, I will try at canine friendship, as long as the dogs are Beta or my size or smaller. They also need to realize that their toys and my toys are all mine. As for my food or water bowls, I can share, because that organic dog food stuff I get isn’t exactly something to yip about. I have two dog friends, one I don’t see anymore for some reason and another one named Cricket, a terrier who, like me, loves the game of chase. I see Cricket when Shelley takes me to her business neighbor’s store to chat. But I actually prefer cats. This could be due to my size – 10 pounds, not very tall and extensively long – my cat-like, long, fluffy tail and my liking to have my way. But I don’t have a cat to call a friend, even after I’ve put maximum effort into making a cat pal. Take Kiara, Shelley’s brother’s girlfriend’s cat. She doesn’t like me, though I’m incredibly nice to her, wiggling my tail and all that. She looks down at me from her cat post, one paw hanging down, staring at me as if I’m invading her space. Once when she was on the ground, I barked several “hellos” and she just hunched her back, teeth exposed. Once she even scratched my nose. To say the least, her behavior wasn’t very nice. The same thing happens with Cheddar, Shelley’s neighbor’s cat. He stares at me, all hissy like, as I try to approach. I bark a greeting, and he glares at me. Once I even gave him a kiss, but all he did was ignore me. Come on, I was making the first move, something that should have flattered the old boy. I guess I’ll have to try to befriend the birds next. 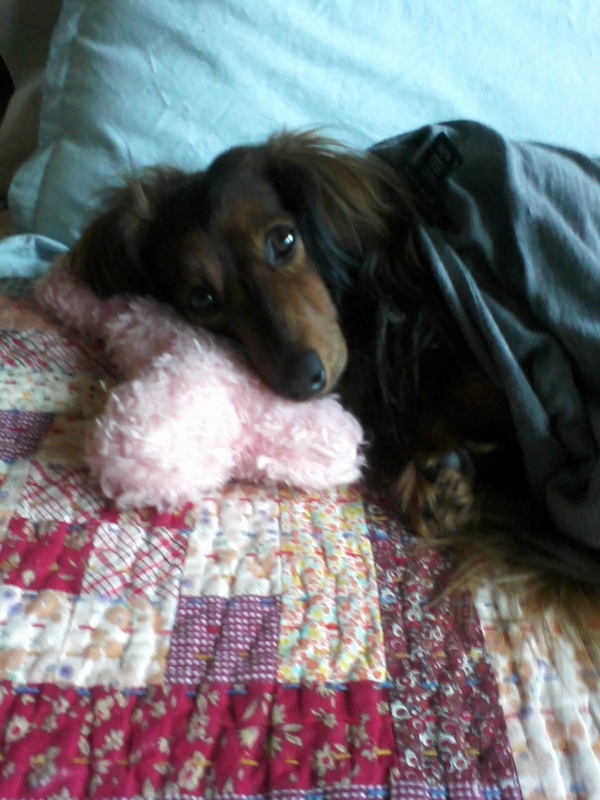 I don’t exactly consider myself a memoirist as I write about the dog’s life. 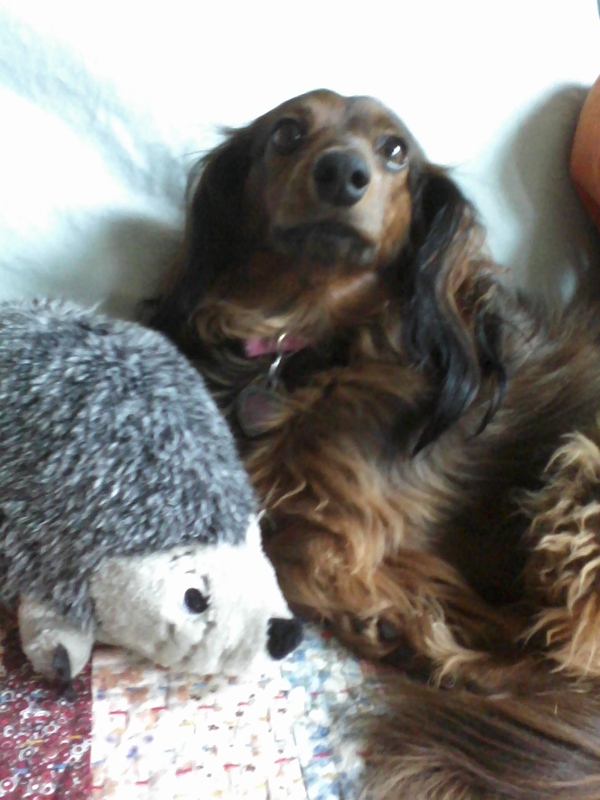 I am a very cute miniature dachshund. And I weigh 10 pounds. My life was dramatic at the beginning but now has settled into somewhat of a routine. I was born on December 20, 2008, and at the tender age of nine months was sent to a pet store. Just a couple days after my arriving, my future BFF Shelley held me and fell hard for my adorable self as I leaned my head against her chest, claiming her. Shelley trained me, and I sort of learned what she wanted me to do. And then she sent me away while she moved. I lived with her dad, so I didn’t know who my BFF was for awhile. She took me back after a few months, but the tension and conflict of not having a secure home caused some issues for me. For instance, I don’t like letting her out of my sight when her dad visits or she visits him. What if they do the switcharoo thing again? But despite this rising and unsettling action, I’ve settled into a happy ending of sorts – except for the part when Shelley leaves me five days a week to go to work. I get great treats, OK dog food and lots of play time, plus walks (except when it’s raining or snowing, because I have princess feet). Anyway, it’s all good, me living out my dreamy dog life. Zoey is cozy warm underneath her BFF Shelley’s winter jacket. Dogs are not livestock to be left out in the bitter Midwest cold, especially if we live in warmer climates that are part of the big January 2014 freeze. When temperatures are subzero, I don’t think even livestock should have to brave the elements. They lack the blubber and fur coats meant for arctic conditions, because they’re acclimated to warmer weather. I learned about dogs in Tennessee dying after being left unattended outdoors and saw a photo of a snow-covered dog biting through a cage, his paw raised in dying rage at the cruelty done to him. It kind of ruined my day to see that other animals are suffering in the world. Maslow’s hierarchy of needs, a tool used in psychology, applies to animals, too, because we need food, clothing and shelter. Shelter! That means indoors and outdoors only when temperatures are Goldilocks-like, not too hot or too cold. Don’t leave us in cars when you can see your breath or shiver, or when you sweat. Don’t tie us up when you don’t have a fence. Don’t put us in kennels outdoors, because you can’t predict if it will rain, snow or the wind will rattle our cages, causing injury. Do know that you can kennel us indoors for up to four hours. Don’t leave us for more than eight hours a day. Love us. Care for us. We look to you for our Maslow’s hierarchy of needs, which at the higher levels includes the social-emotional needs. We need exercise. We need to go on walks. We need to play. And we need your love. As a canine, I’m not exactly one to come up with impossible New Year’s resolutions to carry out over the next year. Rather, I live in the moment. 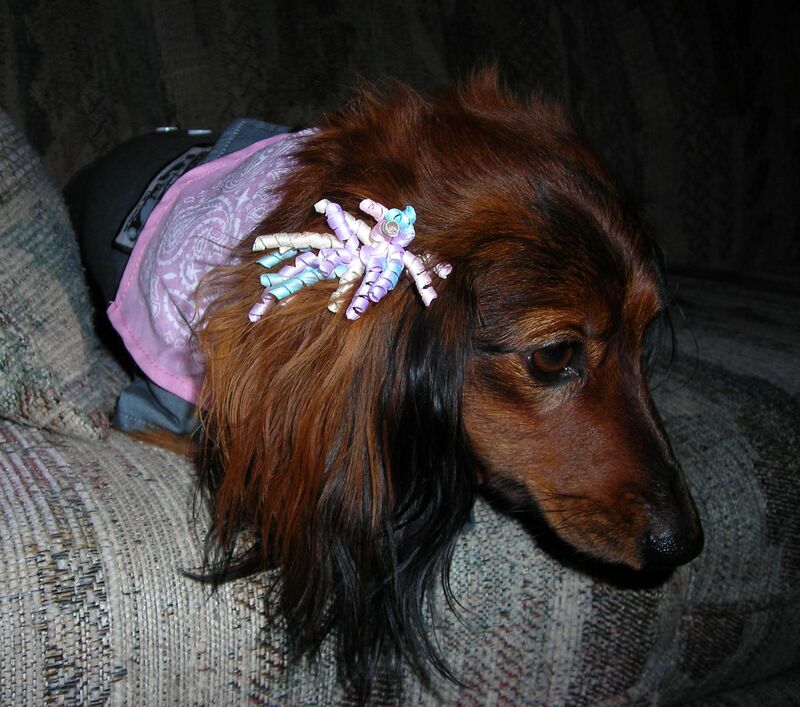 The attention bit comes from the fact that I am a really cute long-haired miniature dachshund. Wherever I go, people want to pet me, often remakring how cute I am, and I just eat it up. In fact, I’m probably the cutest, prettiest and most fascinating dog in the world. My name is Zoey Suzanne Widhalm. I am five years old and weigh 10 pounds, though there isn’t anything small about me and my big personality. I love to play hard, run around the back yard, invite cats to be my friends (though they turn up their snouts at me – the gall! ), and chew Nylabones, rawhides and my toys, because I can’t actually talk but like to get a chew in edgewise. This year, I have come up with sub-goals to my major goals that I want to blog about. For instance, when my BFF Shelley reads books about dog behavior to try to understand complicated me, I will write about what she learned and simplify it for her so she gets it. I will talk about my really interesting life. And I will tell a few canine tales. So here’s to a Happy 2014 Blogging Year.